Today has been an awesome and productive Saturday. I got up at my normal time and made the husband and I breakfast. We were in dire need of a grocery run, so I was really excited that I got two loaves of Bauducco Panettone to try as part of the Foodbuzz Tastemakers program. Otherwise, breakfast would have been pretty slim pickings. The company sent me a sample of its Hershey's chocolate chips variety and another one with Sun-Maid raisins. It comes boxed up and is circular like a cake. Tim and I both agreed it was somewhere between a cake and a dessert bread. It wasn't sweet enough to be called a cake, but it was too sweet for bread. 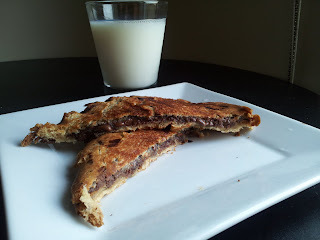 It also has a slight orange taste, and a delicate, soft textur e. I used the chocolate kind to make Tim a grilled nutella sandwich for breakfast. I'm pretty sure this is not what George Foreman had in mind when he marketed the Lean, Mean, Fat-Reducing Grilling Machine, but it made an ooey-gooey cripsy exterior breakfast for Tim. 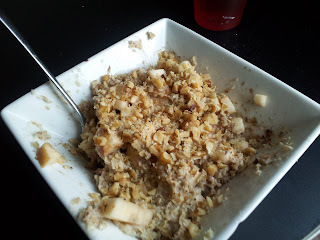 I had oatmeal with Splenda, cinnamon, a chopped apple and walnuts. It doesn't look like much, but it was tasty. I was saving my calories for later. After free yoga at lululemon, I had a doctors appointment, which I chased with lunch at Wing Stop and serious grocery shopping. With visits to Costco and Aldi, my cupboards finally look like someone lives here. I spent the afternoon intermittently cleaning and shopping for a car online. Turns out that my car is trying to kill me with its non-functioning airbags, so I'm trying to figure out my next move. I'm torn between buying an impractical, cute car I really love and making the grown-up decision to buy a practical, value-driven car. 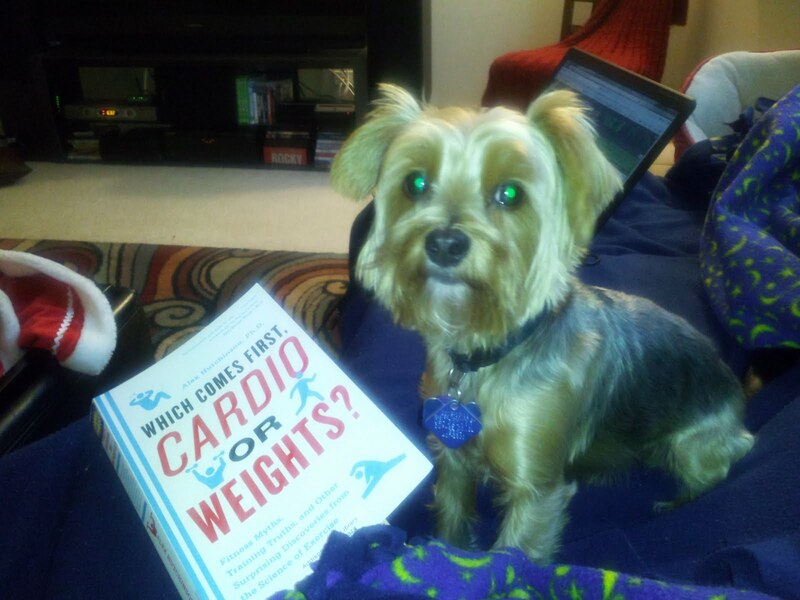 For now, little man and I are reading a fascinating book that brings together and breaks down a ton of different exercise- and sports-related research. I'll be devouring this read before the night is over. Have a happy Saturday!